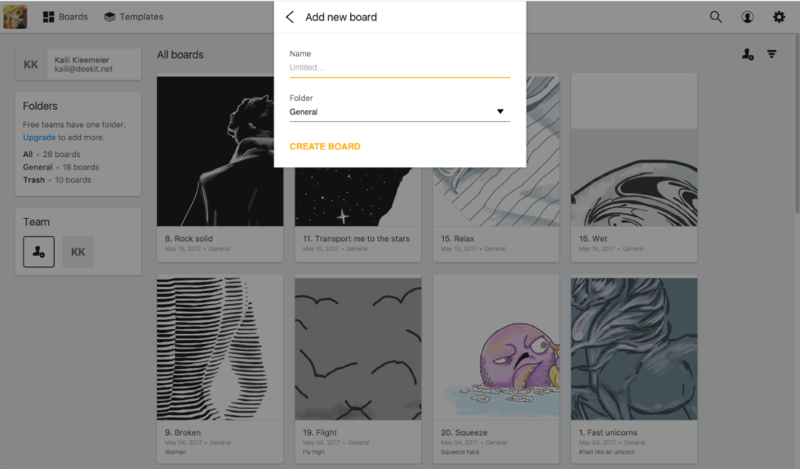 To create new boards, just click or Tap on the plus sing and you’re set. Doesn’t matter are you in board grid or on the board you can see the plus sign in the upper toolbar. Give it a name. You can also add description and tags to give context and make it easier to find. Choose where you want to create the board. This is useful if you have multiple teams and many folders. Click Create new board and you are done! Keep in mind: Only Administrators and Full members can create boards in teams.